Early this summer, a group of Manzil learners and teachers embarked on a 1,500 mile long trip to Nagaland to experience a society and place they had never seen before, while learning more about our vast nation and about themselves. The journey began with a train ride the likes of which we had never experienced, lasting over three days during which time we played games, sang songs, and learned how to plan a trip, as many of our students had, for financial reasons, never been able to travel. When we finally arrived in Nagaland, we were immediately struck by the difference in climate. Here the air was cool and clean, the environment green and lush, an ephemeral fog coating the rolling hills. The superficial aspects were the first thing we noticed, but as we undertook the workshops and visits we had planned for the trip we began to discover more about the rich culture of Nagaland. 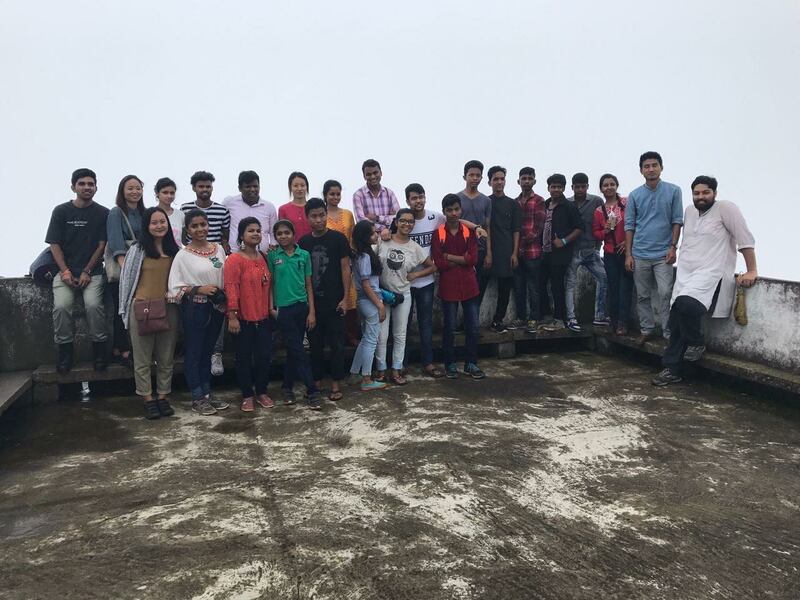 The trip to Nagaland served as an excellent learning journey for our students, as they underwent workshops, met fellow likeminded learners, and visited places that made them think and grow. One of the workshops was a technology workshop, in which our students discussed various new technological developments such as Google’s Project Loon, and 3D printers with a local instructor. They immediately derived plenty of ideas about the potential uses for these revolutionary products. As technological education is drastically underfunded in Delhi government schools, it was a benefit to their technological proficiency to learn about these new tools. They also took a self-esteem workshop with another local teacher, that helped them develop skills and tools to promote healthy introspection and self-assessment, other tools not conveyed to them in traditional learning environments. While in Nagaland, the students also had the privilege of visiting a local school and orphanage, both educational experiences. At the school, they interacted with Nagalese students around their ages, and saw how much in common they had with fellow Indians, even if they lived 1,500 miles away. Further, the Nagalese students were particularly proficient in English, so it served as an opportunity for the students to practice what they’ve learned here at Manzil. The trip to an orphanage was an eye opening experience for our learners, as very few, if any, had ever visited one. In Delhi, and West Indian, society, the large familial webs ensure that most orphaned children are taken in by extended family, relegating orphanhood largely to a plot point in Bollywood films. But seeing the strength these orphans had, and the community they had built, inspired our learners and prompted one to remark that “These children taught us that, no matter what you face, it’s important to never give up.” This trip also taught our students a great deal about the cultural diversity of our vast nation, and dispelled stereotypes they had about the East. Nagaland is rarely mentioned on the news, and a multitude of stereotypes exist about the people who live there; that they are savages, wear tribal dress, or even that they are cannibals. One of our learners was told by her parents that “if she went there, she would die.” Yet, our students realized quickly that these were all falsehoods. They dressed like us, spoke like us, laughed like us. These rumors were merely rumors, and they were just as India as we are. All of these factors together made this a trip that helped our students develop their emotional, academic, and social intelligences. The Nagaland trip was a massive success, as our learners and teachers alike came back from the trip with new knowledge, new attitudes, and new friends. Travelling so far taught them not only about the place they visited, but also about their peers, their city, and themselves. For us, it was a perfect trip to help our young learners to develop into the bright minded, curious, kind, and insightful people they can be.